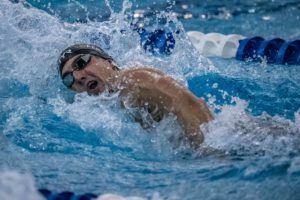 The top seed in 2 events have scratched out of prelims on Thursday morning at the 2018 US Winter National Championships. Chris Wieser of Dart Swimming, who was seeded 1st in the 400 free with a 3:48.69, doesn’t appear on Thursday morning’s psych sheets. 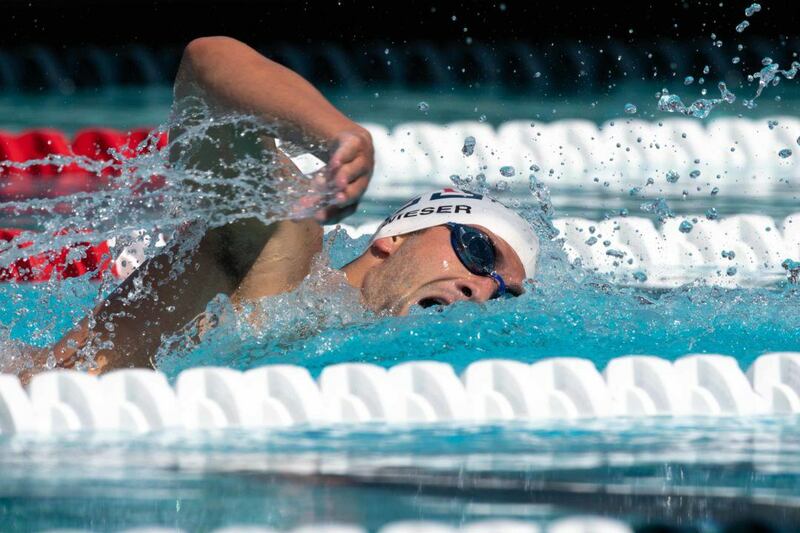 The former Arizona All-American didn’t race the 800 on Wednesday evening either, though he still holds entries later in the meet in the 200 free and arguably his best event the 1500 free. The other top seed to scratch on Thursday morning is German-born University of Hawaii senior Metin Aydin. Aydin, the defending MPSF Swimmer of the Year and a 2018 NCAA Honorable Mention All-American (1:39.59, 200 yard back), was the top seed in the 200 IM as the first of 3 entries. In his absence, Bluefish 17-year old River Wright, a University of Michigan commit, becomes the top seed. Aydin is seeded 10th in the 100 back and 17th in the 200 back later in the meet. 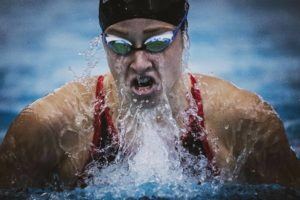 USA Swimming National Teamer Hannah Moore scratched out of the 400 free: an event where she was seeded 8th (4:11.38). She also skipped the 800 on Wednesday evening. Moore trains about an hour away with the TAC Titans in Cary, North Carolina and is finishing school at NC State (also about an hour away), so of this group, she seems most likely to still show up for her last, and best, event: the 1500 free (3rd seed, 16:12.24). That race will be held on Saturday. She’s the Pool Record holder at GAC in the 400 free. Canadian Rebecca Smith, the 10th seed in the 50 free, was off the heat sheets on Thursday morning for the first of her 4 entries in the meet. My boy Chris had to miss the meet due to a knee surgery on Wednesday. Needless to say he won’t be competing in the rest of the meet, but I’ve seen him recover from serious injuries before, so expect him to be back at 100% in the coming months.